The easy and fun collage-making app lets users modify their photos in all kinds of interesting ways. The developers at Munkee have released a new brochure describing the array of features contained in the InstaSize application now that it is enabled for Android* tablets powered by Intel® Atom™ Processors. The marketing document illustrates how users can capture or import photos into the app and manipulate them with text, filters, overlays and frames. Loaded with pleasing and provocative visual effects, this app lets users customize their pictures and share with one tap on social media sites like Instagram* or Twitter*. Making collages, creating memes and sending personalized messages is a snap with this fast and handy toolkit. Now, tablet users can embellish their images on the go. 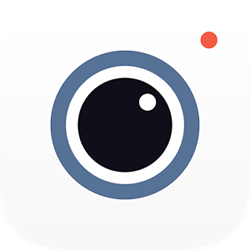 Hours of reliable functionality and smooth touch capability provide entertaining and satisfying editing and sharing with the InstaSize application. The Intel Developer Zone supports independent developers and software companies of all sizes and skill levels with technical communities, go-to-market resources and business opportunities. To learn more about becoming an Intel® Software Partner, join the Intel Developer Zone. Intel, the Intel logo and Intel Inside are trademarks of Intel Corporation in the U.S. and/or other countries. Copyright © 2015 Intel Corporation. All rights reserved.